Obot Akara town is a local government area in the North-East part of Akwa Ibom State, which is located in the South-South region of Nigeria. 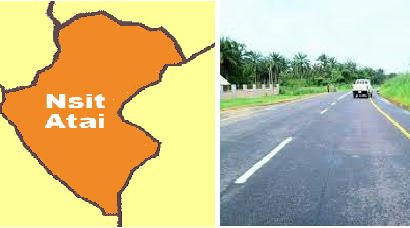 The town shares common boundaries with Ini, Ikot Ekpene, Ikono, and Essien Udim. Other neighboring towns close to it outside Akwa Ibom are Isiala Ngwa and Ikwuano in Abia state. Obot Akara is one of the 31 local government areas in Akwa Ibom state and has its headquarters at Nto Edino. The town has three major districts which are Obot Akara, Nto Edino and Ikot Abia, the town Obot Akara has 28 Autonomous communities, Nto Edino has 28 as well while Ikot Abia has 22 communities according to 2006 population from a source the town was 147,286 and during the 2011 population project it hit 174,580, however, there is a tendency that Obot Akara population is greater than 174,580 presently. Obot Akara is an arable land. So, therefore, the populace engage in farming and fishing, the town has a high yield of Yam, Palm kernel, Oil, Cocoyam and Cassava, Poultry farm and Fish farm is also well practiced in this part of Nigeria. Mineral deposits like Sand, Salt, Limestone, Gravels, Crude oil, Clay etc are also available in Obot Akara. Life in Obot Akara is a choice some engage in Agriculture such as farming, others Fishing, Hunting, Craft work, Bricklaying etc. The educated people in this land go for white collar job while the uneducated do the brown collar job as expected. Doctors, Legal Practitioners, Government Officials, Youth Corpers, Architectures and all kinds of profession and professionals also live in this town. Obot Akara like every Akwa Ibomites delight in Udia (Yam) with Ukang (sauce), Ukwogho Etidot (Efik Bitter leaf soup), Otong Soup, Iwuk Edesi (Native jollof rice), Iwuk Ukom (plantain pottage), Edesi isip (efik coconut rice), Edika Ikong soup, Efere Etighi, Egbank nkukwo, Afang soup, Afia Efere (white soup), Atama soup, etc. these people have many delicacy that one can actually during vacation. Obot Akara falls among the Annang tribe in Akwa Ibom State, so they speak Annang, Efik and Ibibio is a possible heard or spoken among those who have moved from one part of the city or state to another. English is an Official Language in Nigeria so it taught in schools for better understanding, there is a Subtitle English called Pidgin, this language is spoken among those who do not have formal Education. Hausa, Yoruba, and Igbo languages are spoken by some Indigene and most Migrants. The people of Obot Akara are well known for their Tradition and Cultural festival. Obot Akara engage in Folklores games, Masquerades, Dances like Abiokpo, Asian Uboikpa, Ekpo, Uta, etc. though civilization from Christianity has made many to turn away from their old ways and believe in God. The town has several primary and secondary schools that are owned by Government and privately own, a Palm Oil depot, 29 Adult Education Centers constructed, Ultra-Modern Executive Chambers at Nto Edino, Obot Akara Unity Hall, Model FIDA Community Civic Center, 200ft constructed borehole, 20,000 liters tank on a steel tower of 40ft, The Mbiaso/Ikot Ukpong bridge linking the communities together, there is also a world class Chambers for Traditional Rulers Council constructed in the town. The town has also hosted the 9th and 10th season of Guilder Ultimate Search (GUS) in Usaka forest. The season 9 which was titled “The Gatekeeper’s Fortune” was won by Pascal Eronmose and the Season 10 titled “The Tenth Symbol” was won by Denis Okike. There are four airports close to Obot-Akara and these are Sam Mbakwe International Airport, Margaret Ekpo International Airport, Port Harcourt International Airport, and Asaba International Airport.